Now this is seriously cool, and for once not only something I cant afford but something that isn't on sale at all. Hopefully that will change an it'll go into production. I want one! 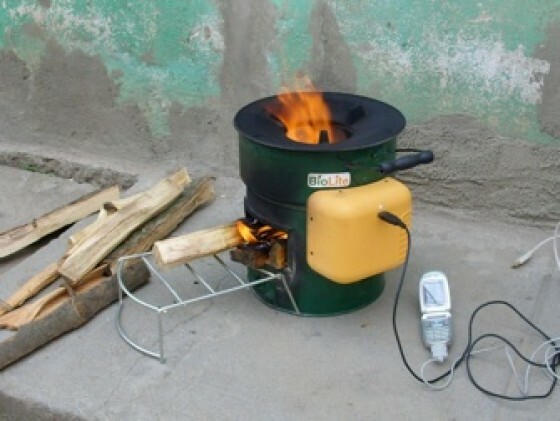 We've all seen small wood and wood gas burning stoves, we've all seen them with electric fans, but this puppy uses no batteries AND generates electricity to power your gizmos afield!